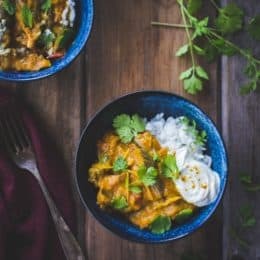 Turmeric must be the definition of “acquired taste.” The root that gives curry powder its characteristic golden hue has strong bitter/earthy notes and the odd ability to give your mouth a mildly cool/numbing sensation. It’s not the sort of thing you would want to eat on its own. 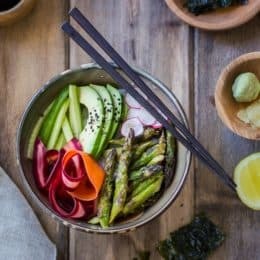 But like most unpleasant-tasting foods, it’s incredibly healthy – anti-inflammatory, antiviral, and antibacterial, among other things. Turmeric has been popping up more frequently in conversations (and visits from my mom who makes shots of the stuff to oust colds – *shudder*) as well as across the interwebs. There’s this beautiful turmeric tea from Heidi Swanson, this turmeric lassi (with rosehip and banana – yum!) 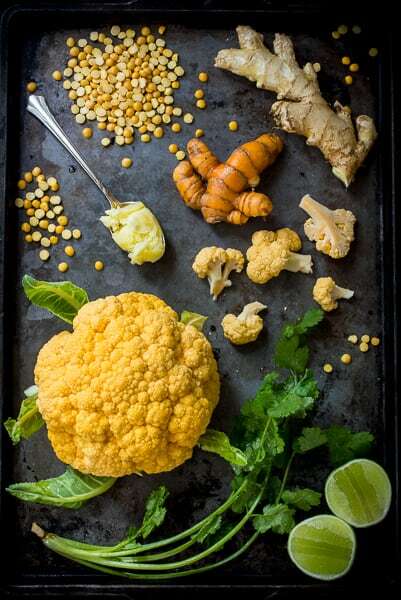 from Green Kitchen Stories, a turmeric chai latte from Savory Simple (look at those gorgeous photos), and turmeric pickled cauliflower (I am all over that) from Shiksa in the Kitchen, just to name a few. I began thinking about turmeric in its own right after making a cauliflower soup from Deborah Madison’s latest tome Vegetable Literacy. 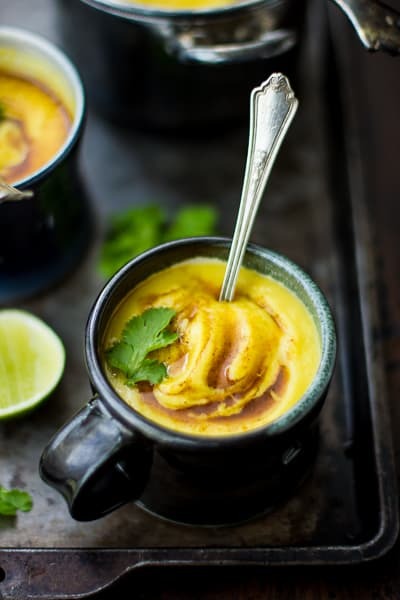 The soup was packed with curry powder and turmeric, more than I would have thought would be ok to add, and I found its earthy flavor and velvety texture completely addictive. I could really taste the turmeric and, surprisingly, I liked that. I’d also been eying a lentil soup in Heidi Swanson’s Super Natural Everyday that gets finished with a swirl of curried ghee. So I decided to put the two recipes together, using bright yellow split peas in place of the lentils. 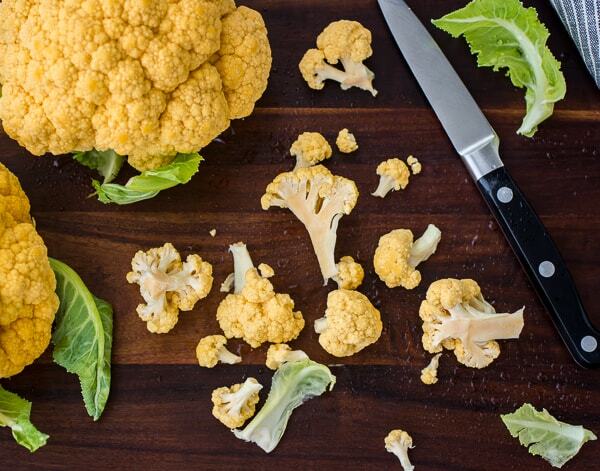 I found some orange cauliflower, so I used that as well. Our co-op stocks fresh turmeric root, so I decided to try it in the soup. It was then that our cold snap – er – snapped, so while I reached for the ginger root to grate into hot water with lemon and honey to keep warm, I spied the turmeric root and added some of that as well. I drank a cup before bed, and woke up thinking about that stained-yellow liquid, full of spice and sweet and tartness and something else – the slight bitter/earthy edge of the turmeric. I was hooked. Like I said, it’s an acquired taste. And I seem to have acquired it. 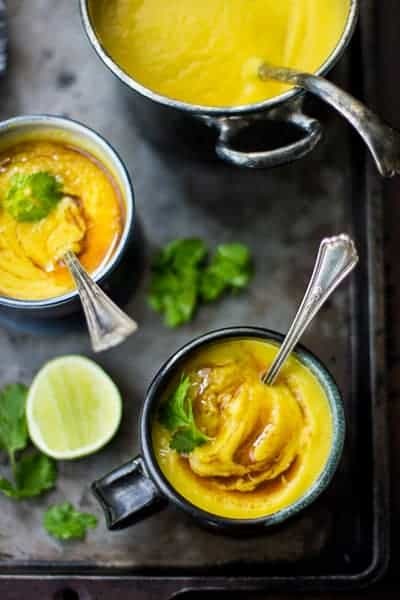 This bright soup is just thing to curl up with on a chilly December day. 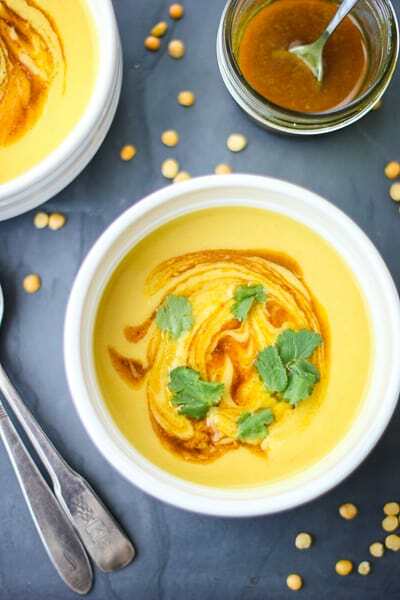 The split peas, onion, and cauliflower make a silky puree that gets richness from ghee and coconut milk. Fresh ginger and curry powder add warmth and spice. Cilantro stems and a squeeze of lime added at the end give it a bit of grassy tartness that brings it into balance. And the swirl of curried ghee and flutter of cilantro leaves make it feel like a special treat rather than the healthy meal that it is. But the flavor that stands out the most, if you’re looking for it, is that weirdly addictive taste of turmeric. Now I’m thinking of a dozen different ways to use that bitter root. 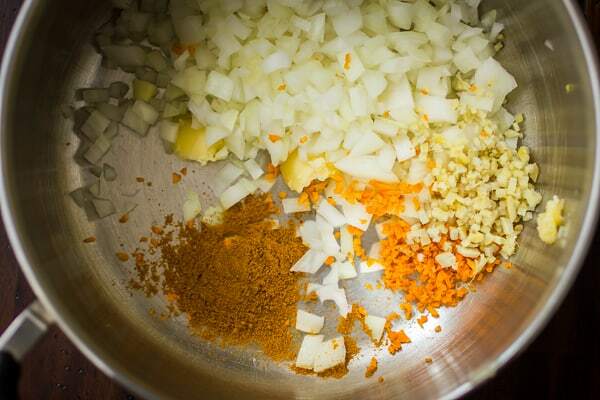 Turmeric fried rice. 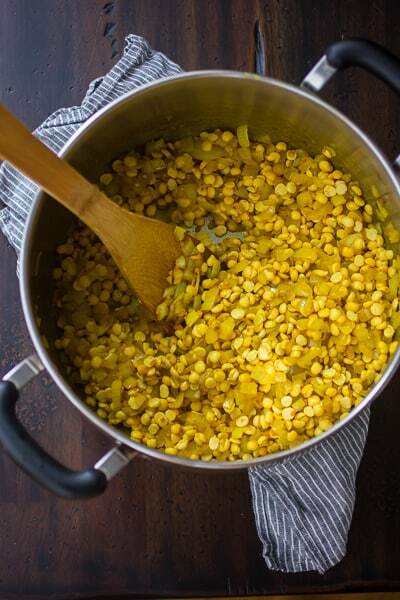 Turmeric popcorn. Turmeric oven fries. Turmeric ice cream(?). Split peas take a while to cook; soaking them overnight, or briefly with boiling water, helps to speed up the process. I made this with full-fat coconut milk which makes for a rich soup, but feel free to use the light stuff for something a bit thinner and more brothy. You can easily make this vegan by swapping out the ghee for coconut oil. 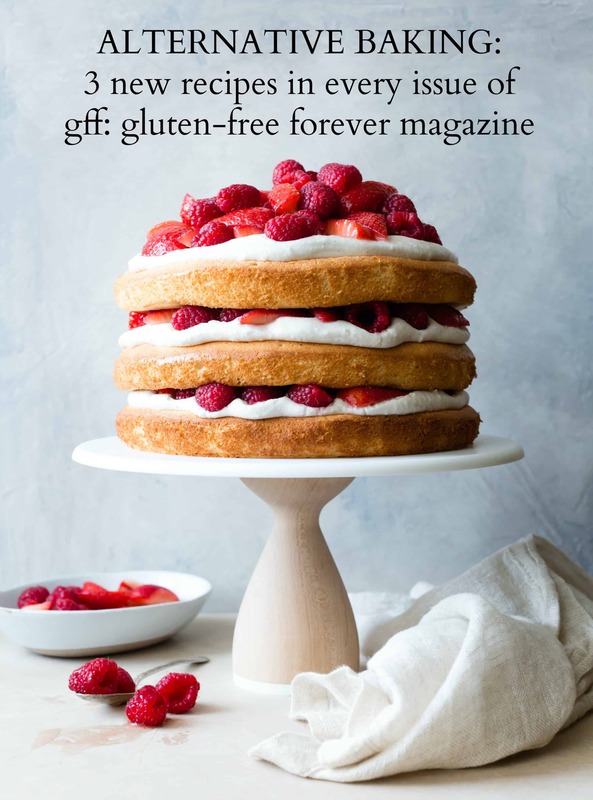 Ghee is clarified butter that has a nutty, warm flavor; it can be found in the Indian section of well-stocked grocery stores or Indian markets, or you can make your own. (I like to keep it around for popping corn since it has a high smoke point.) This soup keeps well refrigerated and becomes even more flavorful as it sits; it will also thicken as it sits, so thin with a bit of water as needed. 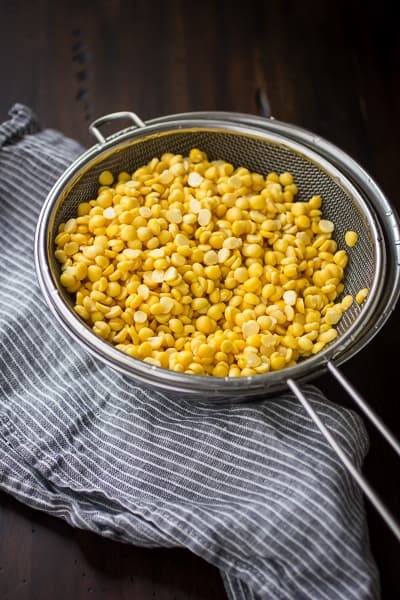 If you didn’t soak your split peas, place them in a heat-proof bowl, cover with boiling water, and let soak for an hour or two. Drain. In a large soup pot set over a medium flame, melt the ghee. Add the onion, ginger, turmeric and curry powder and cook, stirring occasionally, until the onion is tender, 5-10 minutes. Add the drained split peas and the water, bring to a boil, then reduce the heat, cover, and simmer until the split peas are very soft and falling apart, about 1 1/2 hours. Add more water to the pan as needed to keep the peas looking soupy. When the split peas are cooked, add the salt, cauliflower, cilantro stems, coconut milk, and enough water to just cover the cauliflower. 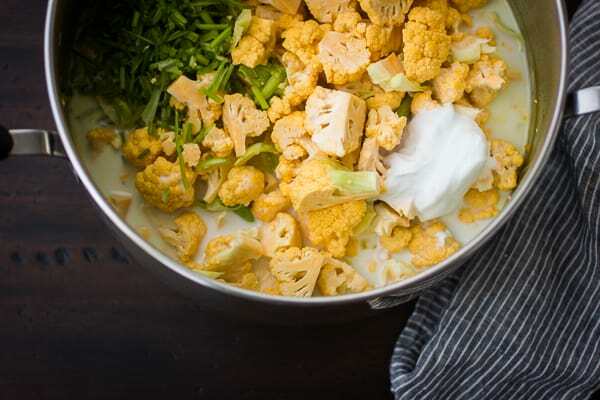 Bring to a simmer and cook, covered, until the cauliflower is tender, 20 minutes. 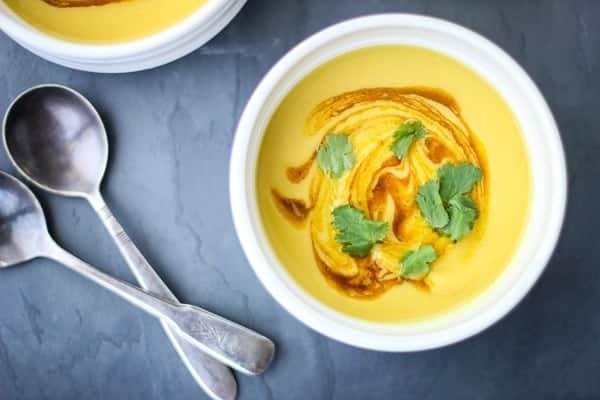 Let the soup cool slightly, then puree smooth with an immersion blender (or let cool to room temperature and puree in a blender or food processor). Blend in the lime juice, and taste for salt and lime, adding more of either if you like. Thin with a bit of water if it’s too thick; it will continue to thicken as it sits. In a tiny pot or skillet, melt together the ghee, curry powder, and salt, stirring well. 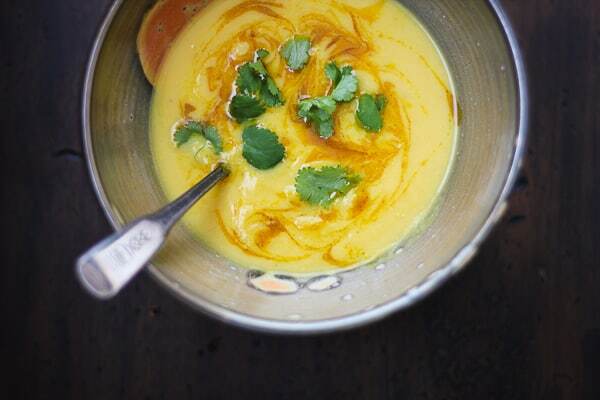 Serve bowls of soup topped with a swirl of curried ghee and cilantro leaves. The soup keeps well, refrigerated, for up to 5 days. Reheat before serving. Yum- Im always trying to think of new flavour combos- I love eating soup in the winter! Thanks, Mara – me too on both counts! Hmm..really good turmeric has strong floral notes, along with the earthiness..whether it's dried or fresh – we can get fresh here (it's easy to grow in a pot! ), but I've tasted amazingly floral dried turmeric my Indian heritage friend got in care packages from her mother. The soup looks delicious! And your photos look amazing! Perfect lighting and composition…are you taking these yourself? Great job, either way! Thanks, junglegirl! Yes, I take the photos myself – I've been working on my photography for the last 5 years, and I still have a lot to learn, but I do my best. :) I really appreciate the kind words! 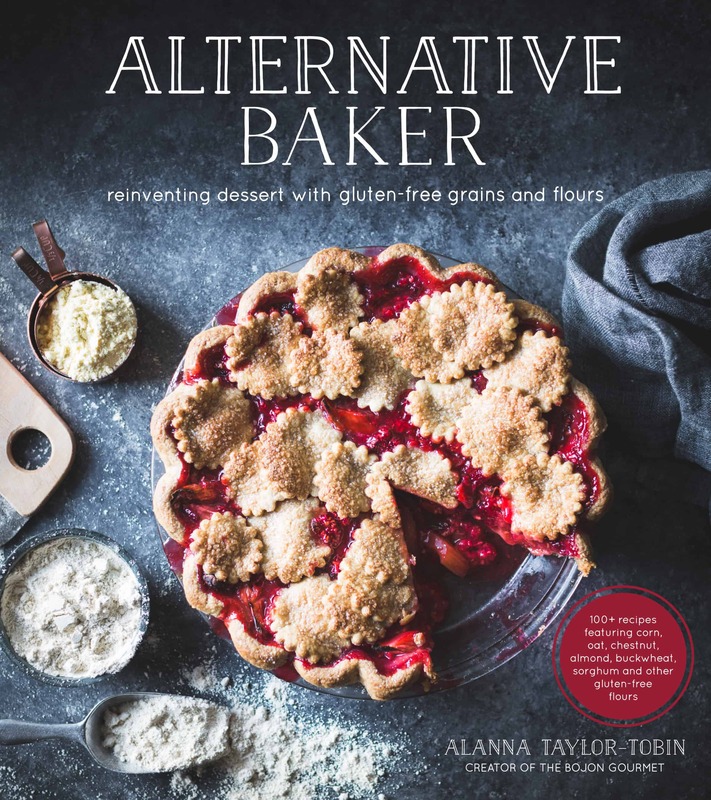 I would love to try that floral turmeric – it sounds amazing! Tumeric is so good for you and it adds such lovely flavor and color. This is a wonderful soup recipe. I'll be trying it soon! Thanks, Monet! I'm glad I'm beginning to appreciate turmeric because it is so healthy. I even put it in a smoothie this morning and I liked it. 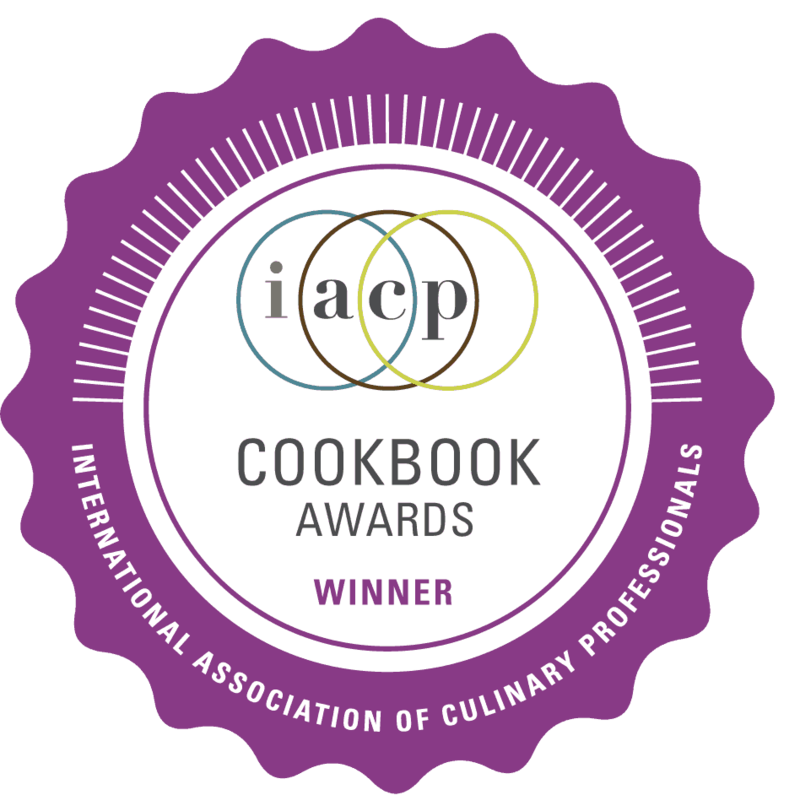 Let me know how the soup comes out – I hope you love it! Shu Han! Thanks for the sweet note! The curried ghee came by way of Heidi Swanson, thus its brilliance. :) Happy Christmas back at you! Goodness that seems like a lot of water (8 cups) for 1 cup of lentils, and a very long cooking time. I pre-soaked and have only cooked so far for 30 minutes, and all my lentils seem to have disintegrated. Should I be worried..? Hi! I'm not sure if we're using the same ingredient – lentils are different than split peas. Lentils take less time and water to cook, where are split peas take for frickin' ever. They look similar, so it's possible that you got a different product than the one I used here. Hi! That's 1 cup before soaking. Let me know how you like the soup! 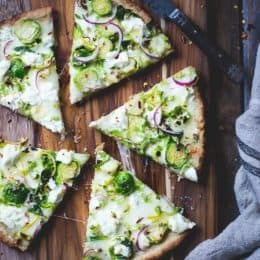 it was delicious, thank you for the recipe and the last minute help! Yay! SO glad to hear it, thanks for the note! Oh dear, that should be ounces! Thank you for catching that typo, updating it now!